William Cowper who lived in Olney and Weston Underwood from 1767 until 1795. The poet William Cowper (pronounced COOper) lived in Olney and Weston Underwood from 1767 to 1795 and many of his poems and letters observed scenes he witnessed during his regular country walks. 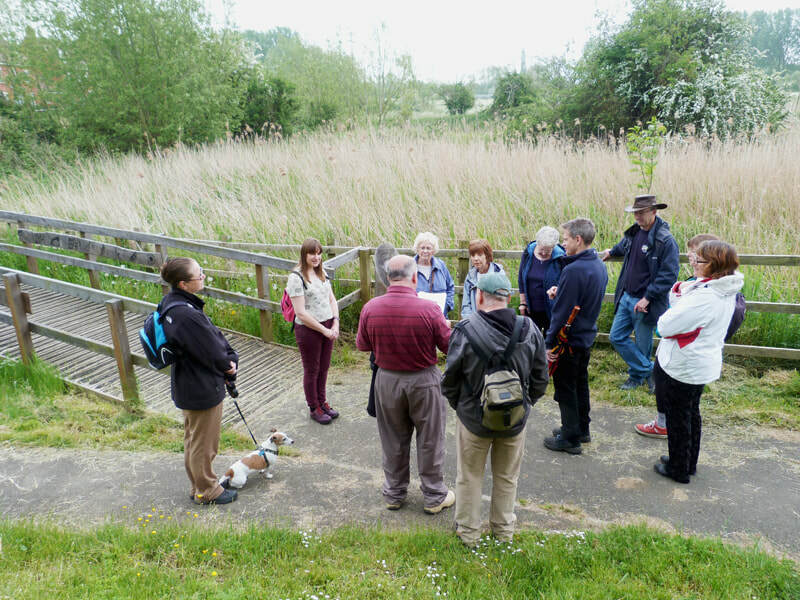 This walk covers some of the main sites he visited and documented. It follows a westerly route from the Cowper and Newton Museum (6 miles/10 kilometres/3 hours). Cowper came to Olney in 1767 at John Newton’s invitation. Together they achieved fame as authors of the Olney Hymns, which included Amazing Grace. In 1768 he moved into Orchard Side which is now the museum. He became famous as a poet and translator while living here and especially acclaimed for his poetry of the countryside which inspired many eminent literary figures of the following 200 years. He was the most read poet of his day. Robbie Burns carried a copy of his great blank verse poem, The Task, around in his back pocket. Wordsworth and Coleridge were heavily influenced by him. Jane Austen quotes from Cowper in three of her six novels. In the twentieth century Virginia Woolf quoted him and John Betjeman became the Chairman of the Cowper & Newton Society. Reflected in the winding Ouse. This Olney day is any day. As a Cowper enthusiast John Betjeman was given Cowper’s bottle of Epsom salts, which he presented to the museum. From the Museum walk west to the High Street and turn left (south) along High Street South to view Cross Keys Houseon the west side. Cross Keys Houseis one of the four Grade II* properties in Olney (one of the others being the museum). The Cross Keys is the oldest documented alehouse in the town from 1556. The name, like several other alehouse names in the area, refer to the name of the Church of St Peter & St Paul: St Peter held the keys to the gates of heaven. 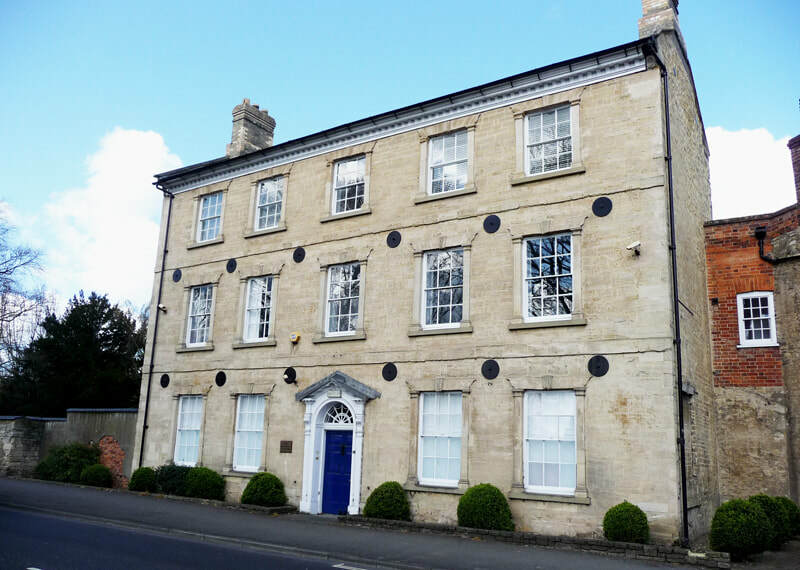 The small but impressive doorway and columns are thought to have been brought from the old Throckmorton mansion, Weston House, in Weston Underwood following its demolition in the 1820s. Cross Keys House and the bakery stand next to Tory Row (built in 1737, the year of Queen Victoria’s accession) on the site of the old workhouse. The Swan Inn opposite is named after the Buckinghamshire emblem. In 1603 it was known as the Buck and renamed The Swan in 1790. From opposite the Cross Keys continue south along High Street South (which becomes Bridge Street). Cross over with care at the traffic island and continue as far as Lime Street corner. Take a detour to Olney Bridge passing number 2 Bridge Street. 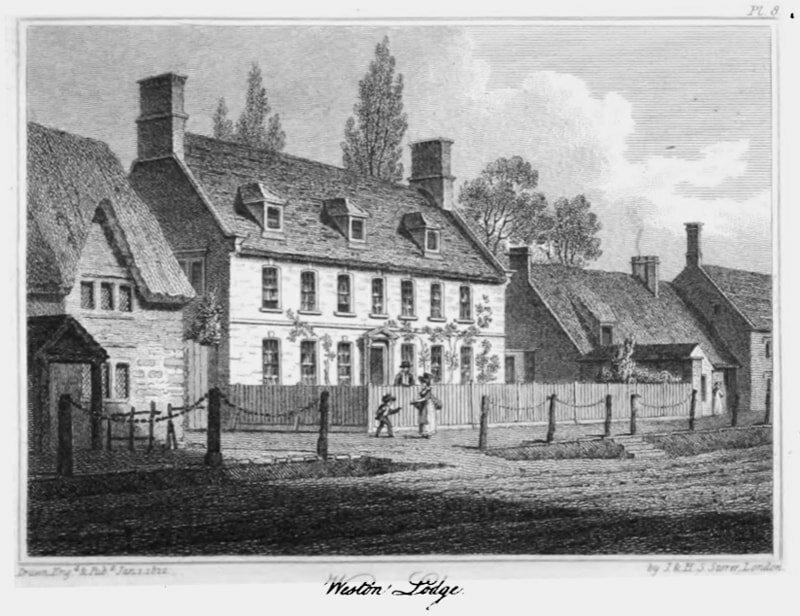 Mrs Unwin and Cowper made use of Mr Raban’s house (later the Golden Lion alehouse) at 2 Bridge St (East) to watch the militia exercises on Emberton marshes. While there was an element of Dad’s Army about this activity the fear of a French invasion was ever present throughout the second half of the 18thcentury and into the 19thuntil the fall of Napoleon in 1815. The arrival of the militia certainly caused a stir with the local ladies. Cowper said that very little lace was made in Silver End (the poor part of the town east of Orchard Side) when the militia was in town! The bridge was the scene of an engagement during the English Civil war in 1643 and a small monument on the west of the bridge commemorates this. The Parliamentarians who held the town and Newport Pagnell were forced back onto the bridge by Prince Rupert’s forces from Northampton, but they withdrew on the rumour of a relieving force approaching. A Roman Road passed through the future site of the town from the ford near the bridge to the Roman settlement at Ash Furlong to the north of the Lavendon Road junction on the north side of the town. Two roads met on the Emberton side of the bridge, one from due South from the town of Magiovinium (Bletchley) and another from Thornborough near Buckingham. From the corner of Lime Street and Bridge Street (after an optional look at the bridge and Civil War monument) follow Lime Street west keeping left and following the path into the new tannery housing estate (opposite the old Boot Maltings which is nw used as a car workshop). Turn left onto Wagstaff Way and follow the road round until it turns back west following the river with views back towards the bridge. At the end of the boardwalk is a Cowper memorial. 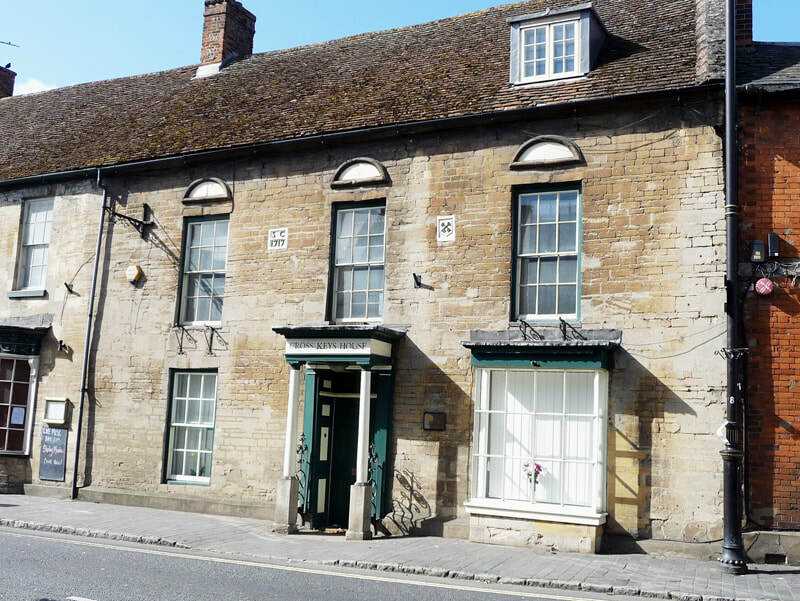 Courtney House, 4 Bridge St, was previously called Etolia House and housed much of the present Museum collection of Cowper memorabilia that had been retained in Olney following the poet’s death in 1800. Bridge House in Bridge St was owner’s accommodation and offices for the families that owned and ran the tannery, including the Wagstaffs, Palmers and Pebodys who are recalled in the road names of the housing development on the site. ​The boardwalk and the new housing next to it marks the site of the old tannery. From the Cowper memorial follow the boardwalk and turn left onto the farm track leading down to the river and Goosey Bridge. It is also the point at which local folklore states that the devil is supposed to emerge from the swampy ground known as the Sway Gog in a local legend. The present bridge dates from 1796. Poetry reading on the annual museum walk to Cowper’s Alcove next to the Cowper plaque. It was at about this point that his dog brought him a present of a lily, after which he wrote the charming The Dog and The Waterlily. 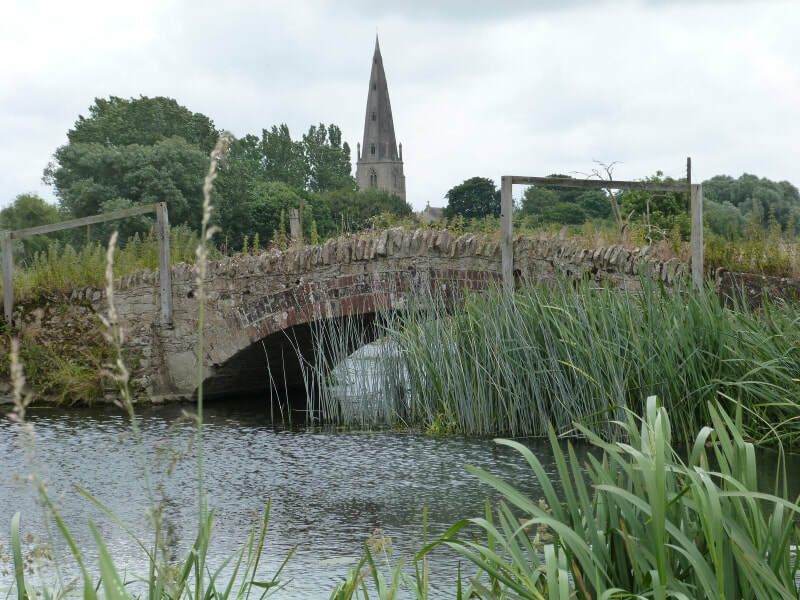 The river here was a major source of the reeds which provided the raw material for a small basket making industry. From Goosey Bridge backtrack a few metres and take the path following the north bank of the river that heads in a south-westerly direction. Pass the first field boundary (with bird houses on posts) and just before the second boundary (also with bird houses) follow the mown track that curls right to the north towards the escarpment. At the end of the field cross the little bridge and follow the track left up the escarpment to the gate on the Weston Road gate (with a walker’s gate incorporated). Goosey Bridge which dates from 1796 links Goosey island, and indirectly Little Goosey Island, to the north bank of the Great Ouse. The name of the islands and bridge are thought to be derivations on the name of the river. You have just climbed the Oolitic limestone escarpment, the sedimentary rock that lays under the very north of Buckinghamshire and is much used in building in Olney and adjoining villages Above and below the stone are layers of Upper Lias boulder clay, giving rise to two spring levels in some places. The rubbly limestone and clay soil on the top is known as Cornbrash. A detour up the footpath opposite takes you up the hill Cowper referred to as “Yon eminence”. It overlooks the hamlet of Pheasants Nest which was the Peasant’s Nest or hovel of Cowper’s Task. Either side of the public land at Barnfield the continuation of Spring (previously Spout Lane and Long Lane are two of the old tracks that ran into the open and common fields prior to the Inclosure (sic) Act for Olney in 1767. Each farmer would previously have had scattered strips of land in the open fields, many only based on unwritten customary rights. Without legal claim they would have been thrown off the land. From the gate onto Weston Road cross the road carefully and turn left, following the pavement down the hill to the small board bridge next to the road bridge. (note the footpath opposite running up the hill to Barnfield and Cowper’s Yon eminence’.) 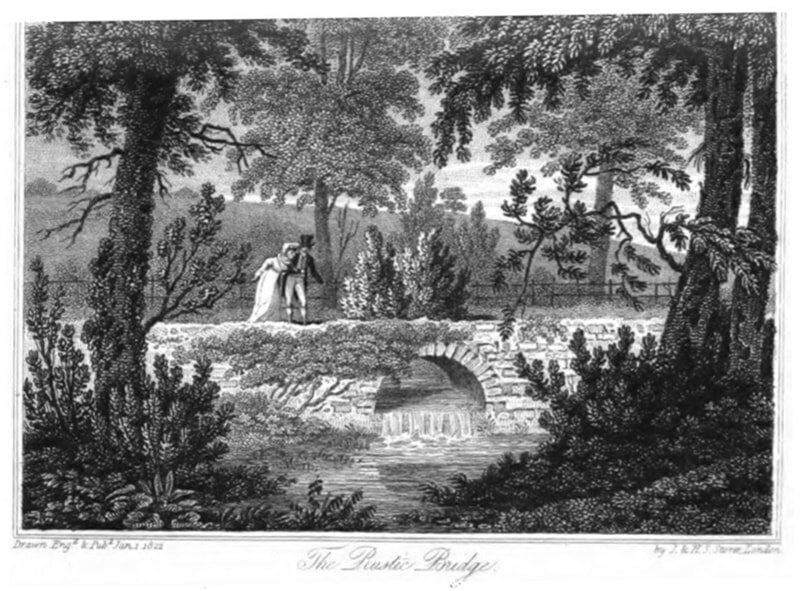 This is known as the Overbrook or Holbrook Bridge. 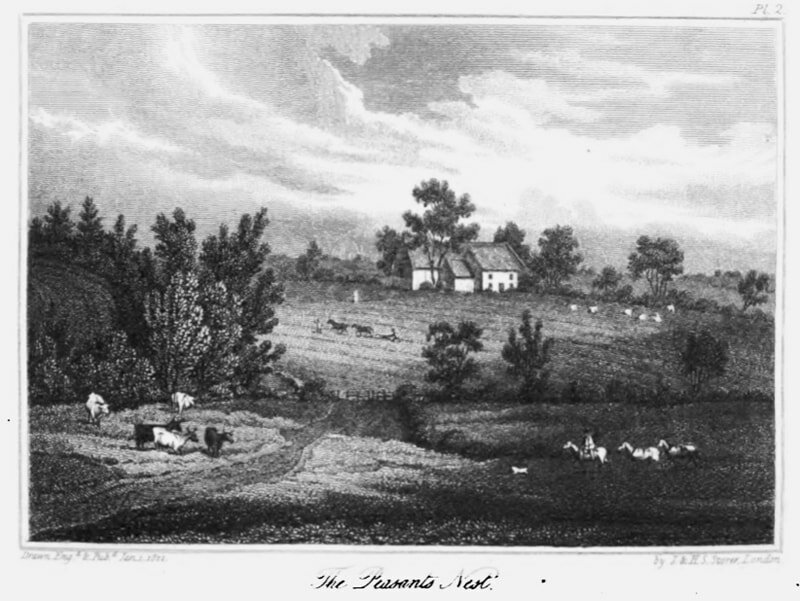 Peasant’s (now Pheasant’s) Nest from the 1803 James Storer engraving which features in Cowper’s famous blank verse poem, The Task. There are several scheduled ancient monuments around Weston Underwood but the Devil’s Bridgeis the only one that is approachable. To reach it take a detour along the concreted road opposite the gates down to where it crosses the stream. The Rustic Bridge, mentioned in the Task, crosses the Holbrook upstream of the devil’s Bridge but is on private land. From Overbrook continue along the road up the hill to the village opposite the first of two large gates that used to mark the entrance to the grand Weston House. 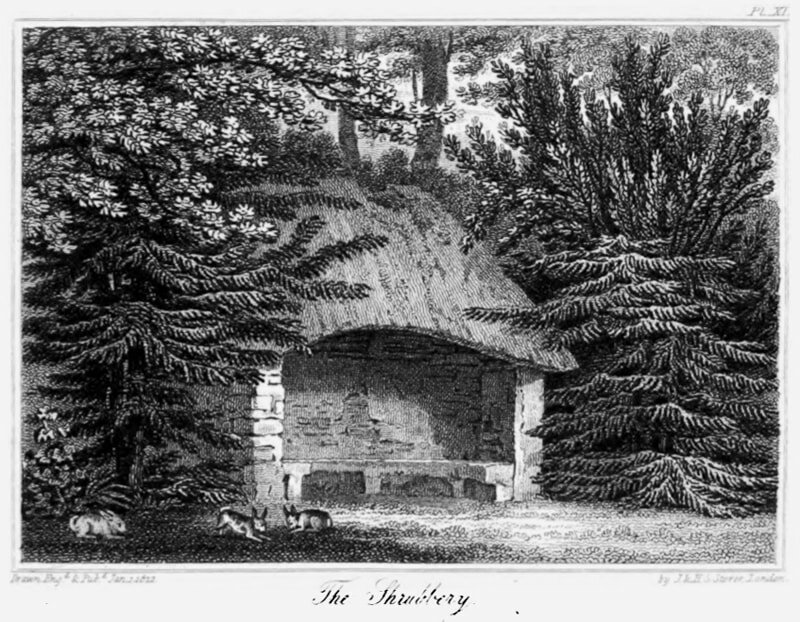 The Moss House in the Shrubbery near the Holbrook Bridge within the Throckmorton estate, from the 1803 James Storer engraving for The Task which Cowper visited on his long country walks. 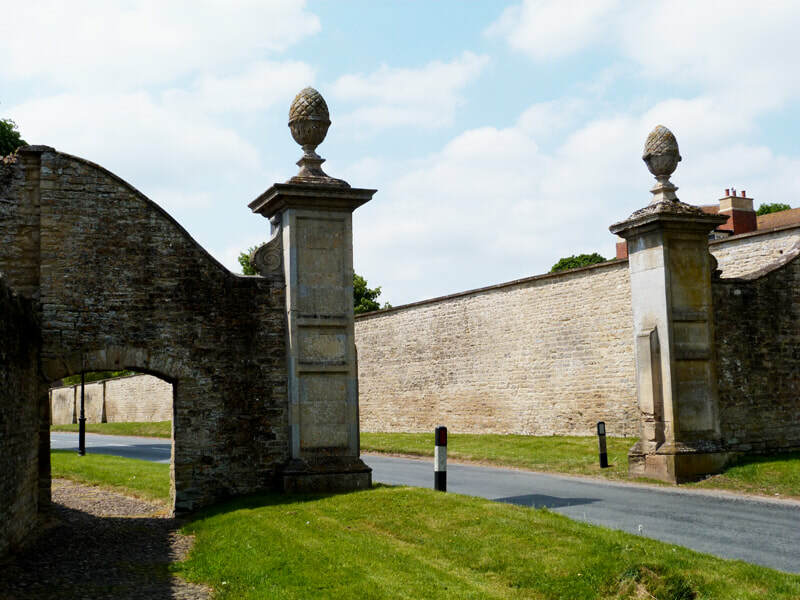 The Weston House gateposts marked the entrance to the large and rambling Elizabethan mansion belonging to the Throckmorton family from 1446 who were the pre-eminent Roman Catholic lords of the manor. Coughton Court in Warwickshire is their seat today. They are infamous for the Throckmorton Plot against Elizabeth 1 in 1583 and for being close relatives of most of the Gunpowder Plotters in 1605. A Protestant banking strand gave us Throgmorton Street in the City of London but by Cowper’s time they were acceptable landlords and companions. While the great house, with its sophisticated double priest hole, no longer exists, the stables, chapel and laundry do, and have been converted into private homes. From the Weston Hall gateposts continue a short distance west along the cobbled pavement of the Weston Road to the gateposts either side of the road known as The Knobs. Front (north side) view of Weston House from the 1803 James Storer engraving. The house no longer exists although parts are still visible. The Throckmortons who lived here became William and mrs Unwins landlords when they moved to Weston Lodge in 1786. Weston was a gated village. The “Knobs” were to keep unwanted visitors out from the village side. Another gate will have existed by the Holbrook bridge and through traffic would have had to pass by along the valley and back up Cross Lane to the old village cross, of which only the base remains. From the knobs continue along the Weston Road to the end of the large stone-faced wall on the right. At the crossroads marking the start of the High Street turn right (north) into Wood Lane following the wall of the old kitchen garden to the end and the start of the estate garden known as The Wilderness. The Knobs: The old entrance to Weston House from the village. The high wall hides the kitchen garden, and beyond that the ‘Wilderness’, of the Throckmorton estate. The grounds are privately owned. And though no hound, a martyr to the chase. Ye squirrels, rabbits, leverets, rejoice! He died worn out with vain pursuit of you. 'And worn with vain pursuit man also dies. There is also a recumbent lion on a monument commemorating Waterloo, an urn on a plinth to Waterloo, a Gothic temple, and a bust of Homer. Continue along Wood Lane (north) with views of the Alcove until it bears right (ignoring a bridleway to Ravenstone on the left) and a layby on the right marks the gate to Cowper’s Alcove. 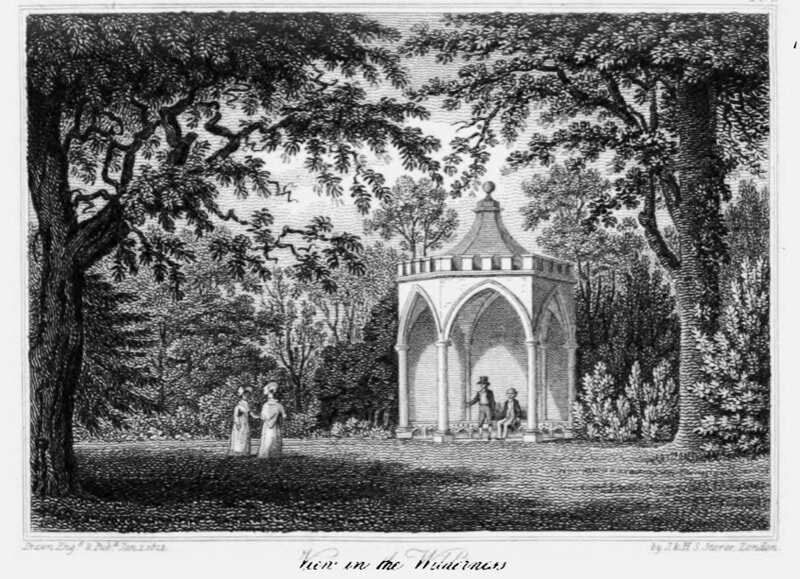 Monuments in the ’Wilderness’ of Weston House from the 1803 James Storer engraving. The Wilderness was naturalistic rather than wild and there are six listed monuments inside. The grounds are private. In Cowper’s time this was a wholly wooden folly built for Sir Robert Throckmorton in 1753 by John Higgins (who later acquired the Turvey estate and built Turvey House). 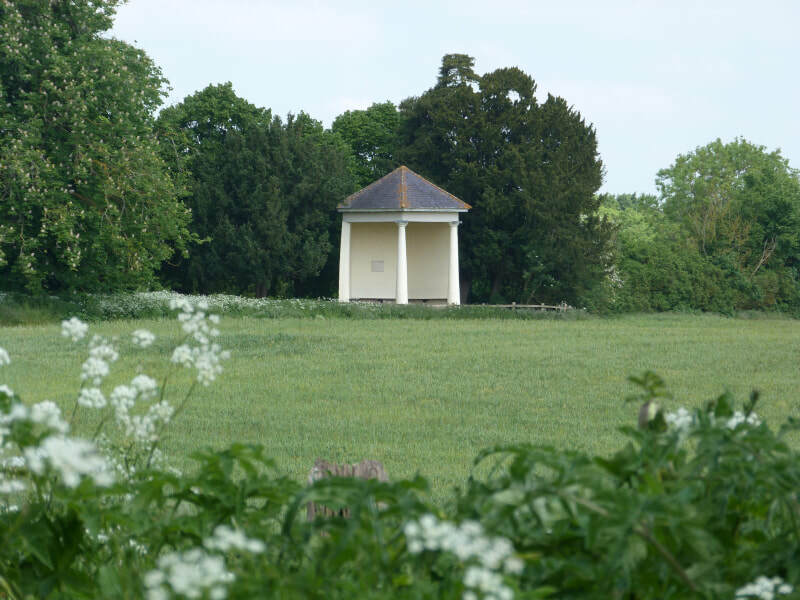 It is hexagonal in shape with Doric columns and a bench around the walls to admire the view back towards Olney church. The avenue of Lime trees ahead and Chestnuts to the left were cut down after the Great War. The “weedy brook” in front flows close to the “Rustic Bridge” and “Devil’s Bridge”. 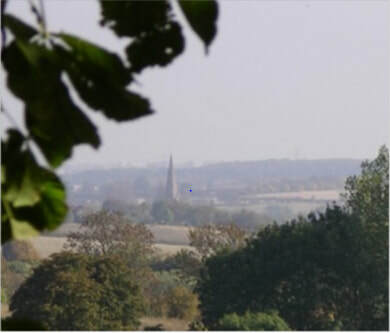 There are fine views across the valley towards Olney Church. Cowper also wrote about the woods on the southern periphery of Yardley Chase such as Dinglederry and Kilwick wood. All Kilwick and all Dinglederry rang. Refreshments in The Alcove at the end of the annual museum circular walk. The Yardley Oak was the subject of a famous Cowper poem but the original tree was destroyed by fire in the 1950s. Yardley Chase (on the horizon to the north-west) also contains old oaks called Gog (sometimes also called Judith – niece of William the conqueror) and Magog. Yardley Oak was never completed, but was discovered by his biographer William Hayley and published after his death. 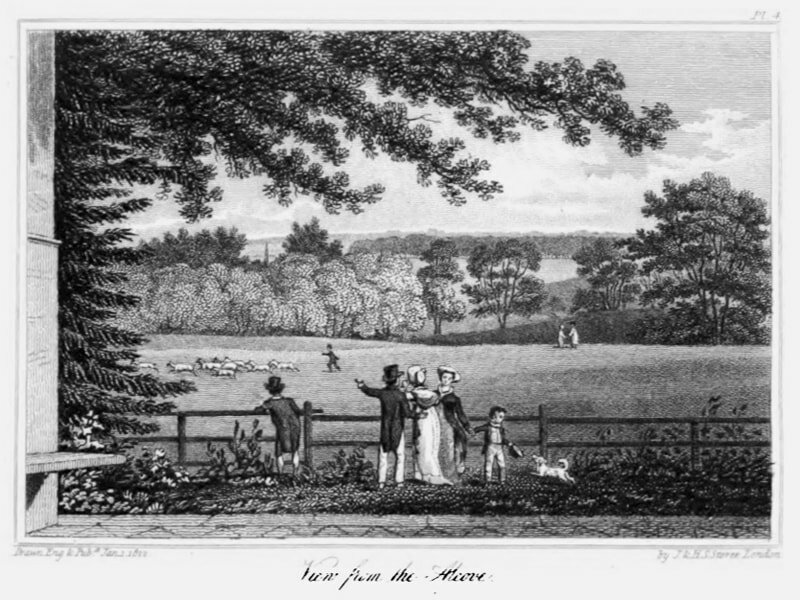 The Lime Walk from the Alcove to the Wilderness on the Throckmorton estate from the 1803 James Storer engraving. The limes have sadly been felled. The Yardley (Cowper’s) Oak from the 1803 James Storer engraving. The tree was on the edge off Yardley Chase and survived until the early 1950s. From the Alcove retrace your steps down Wood Lane back to the cross-roads, turn right and follow the High Street (west). Pass the Cowper’s Oak pub, if you can, to the second large cottage beyond the pub called Cowper’s Lodge. Olney from The Alcove today. The view is agricultural today but in the days of the Throckmortons this would have been parkland in front of Weston House. 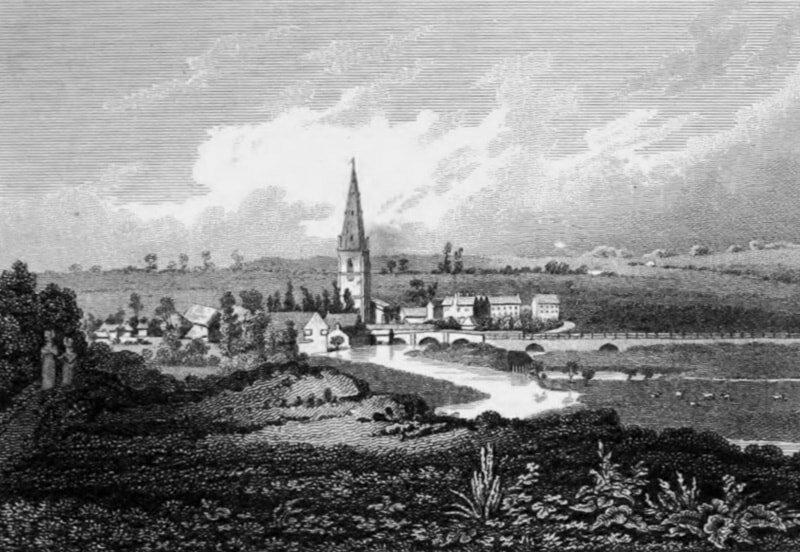 Olney from The Alcove in Cowper’s time from the 1803 James Storer engraving. This fine Georgian House became Cowper’s home from 1786 to 1795 after which he moved to Norfolk to be nursed in his declining years by his young cousin Johnny Johnson. The pub was then the home of his friend – Reverend Buchanan. Oh, for what sorrows I must now exchange ye! From Cowper’s Lodge continue along the High Street, past the quaint old Post Office, to the far end of the village and cross the road to the stile of St Laurence Church. 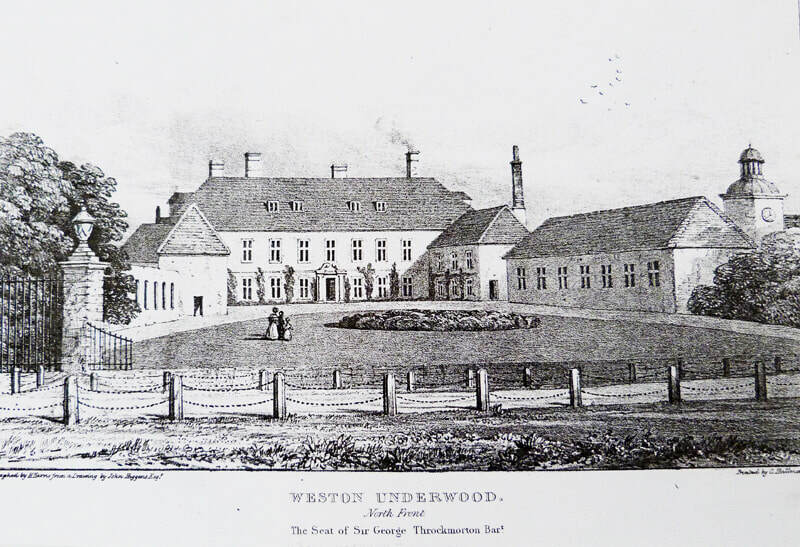 Weston (now Cowper’s) Lodge. He was encouraged to move to this more impressive country house by his cousin Lady Harriot Hesketh. 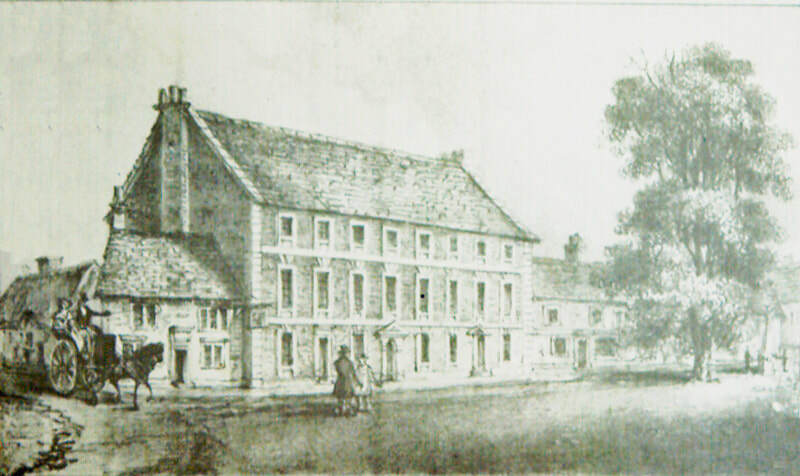 Weston (now Cowper’s) Lodge from the 1803 James Storer engraving. 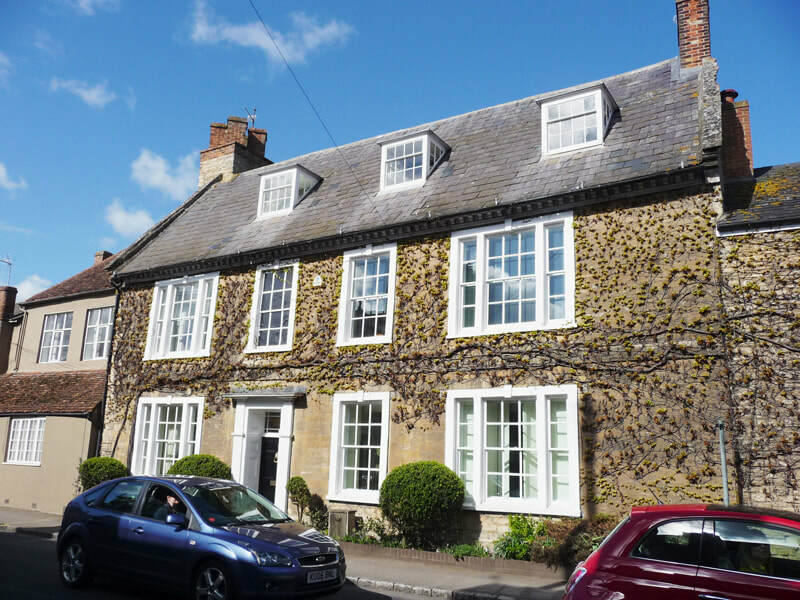 The Throckmorton’s became Mrs Unwin and William’s landlords. 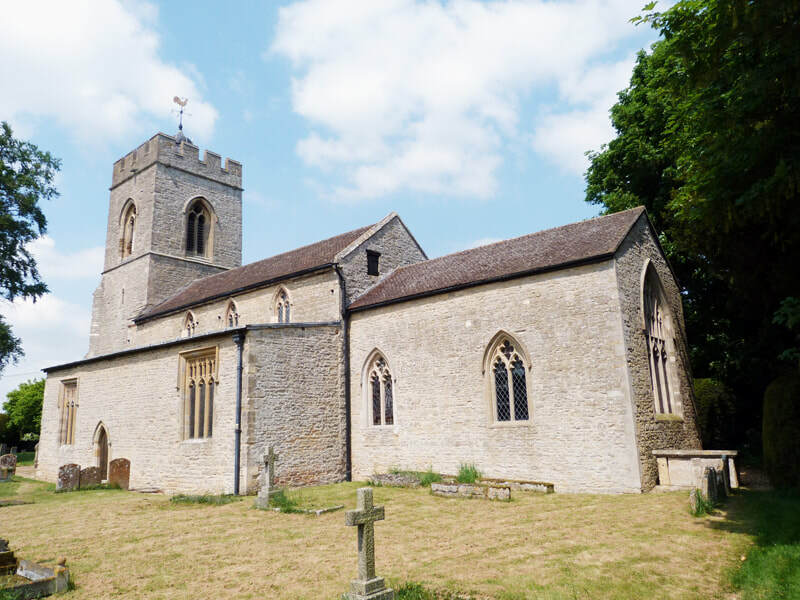 The Church is 14thcentury and was built by John De Olney, originally as a “Chapel of Ease” but re-designated by papal decree as the Overbrook was often flooded, preventing timely burials in Olney. Next door, Pear Tree Cottage was the old Curatage where Thomas Scott lived and paid rent in pears to Charles Higgins. He later became famous for his biblical commentaries and later followed in John Newton’s shoes as Curate of Olney. 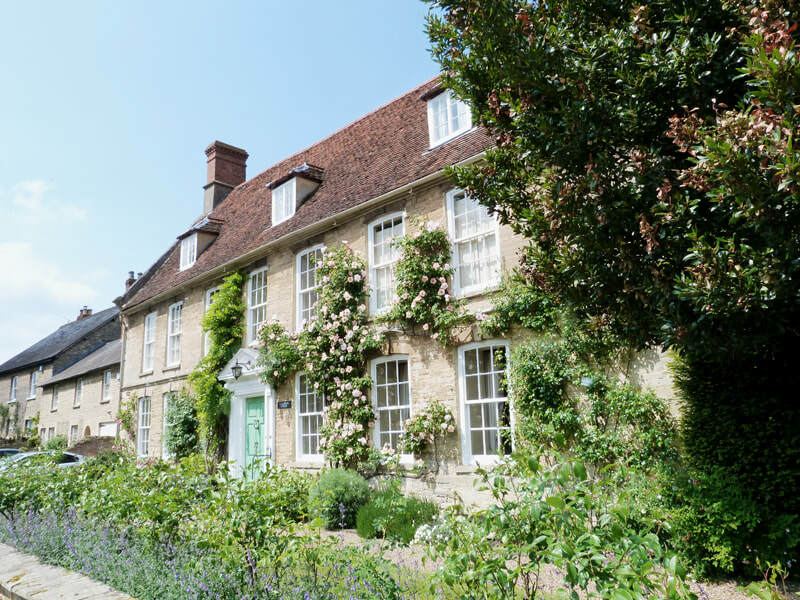 From St Laurence Church retrace your steps north eastward along the High Street through the knobs and follow the road back into Olney to the Cowper and Newton Museum.Where you can view William’s possessions from the period of his stay in Olney and Weston underwood. St Laurence Church, Weston Underwood.